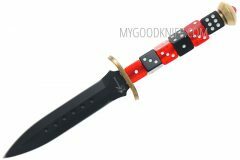 In MyGoodKnife you can buy BlackJack knives at low prices. Established in 1998 by Ken Warner, a member of the former Blackjack team that was located in St. Elmo, Illinois. This brand makes superior cutting instruments. 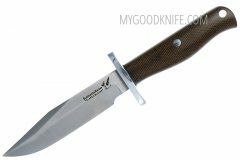 Blackjack knives are more than razor-sharp out of the box, hand-finished with edged convex blades crafted from tough carbon tool steel and superb handles fit against aluminum fittings.